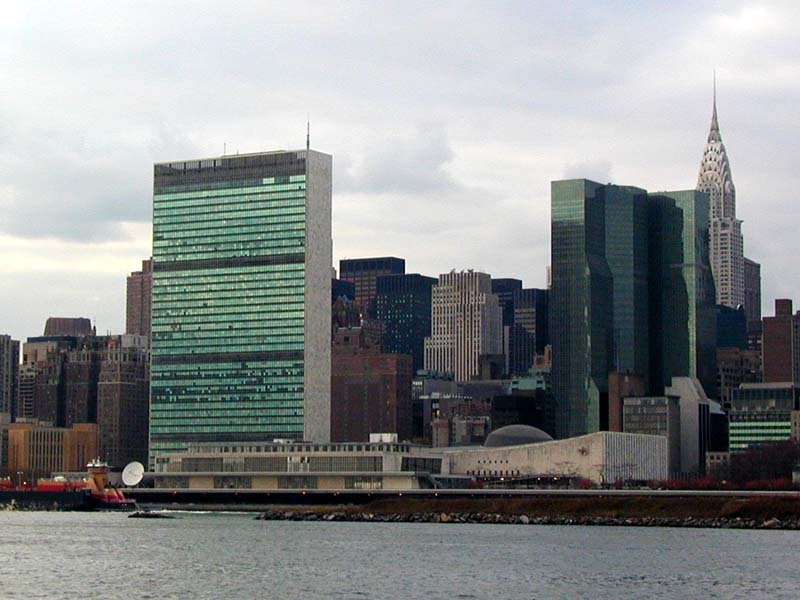 The 18-acre site was donated to the United Nations by John D. Rockefeller, Jr. 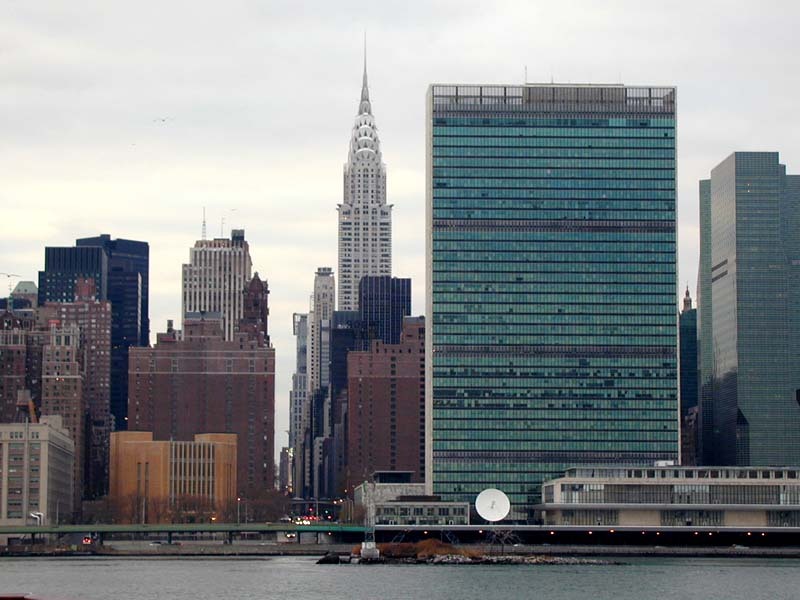 This skyscraper was the first major International Style building to be constructed in New York. 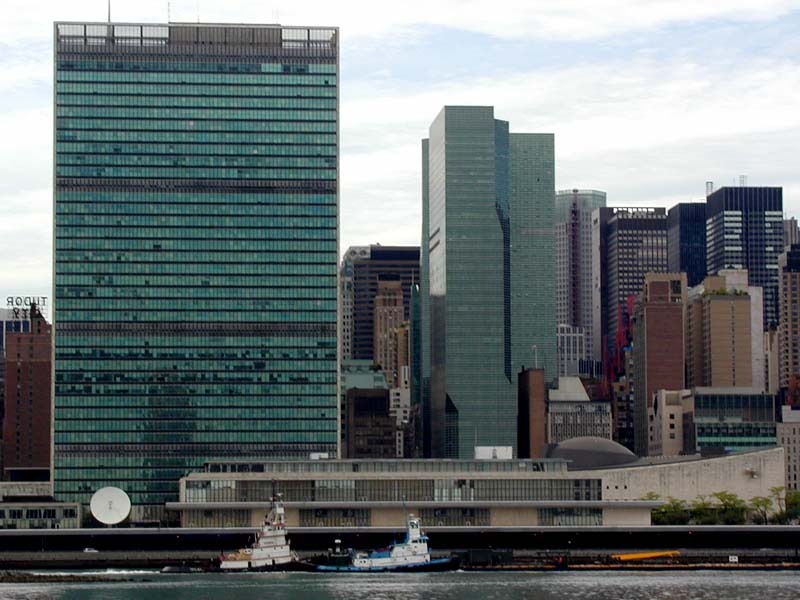 The UN Headquarters site is officially international territory, not part of the United States - making New York the only state with a hole in it. Guided tours are conducted seven days a week (Monday to Friday only during January and February). Tours are conducted from 9:30 a.m. to 4:45 p.m. Monday to Friday; Saturday and Sundays from 10:00 a.m. to 4:30 p.m. The building is closed on some holidays including Thanksgiving Day (usually fourth Thursday in November), Christmas Day, and New Year's Day. A limited schedule may be in effect during the general debate of the General Assembly (mid-September to mid-October), between Christmas and New Year, and during special conferences and events. Please call 212-963-TOUR (8687) for up-to-date information. Opening hours are subject to change. The view on the United Nations Secretariat Building from Queens West. 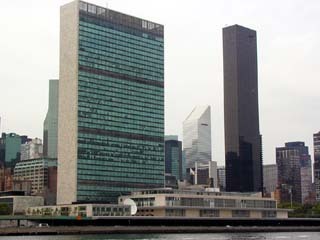 United Nations Secretariat Building. 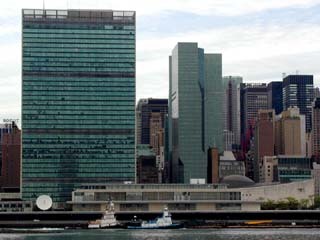 To the right of the UN are the Citicorp building and the Trump World Tower. 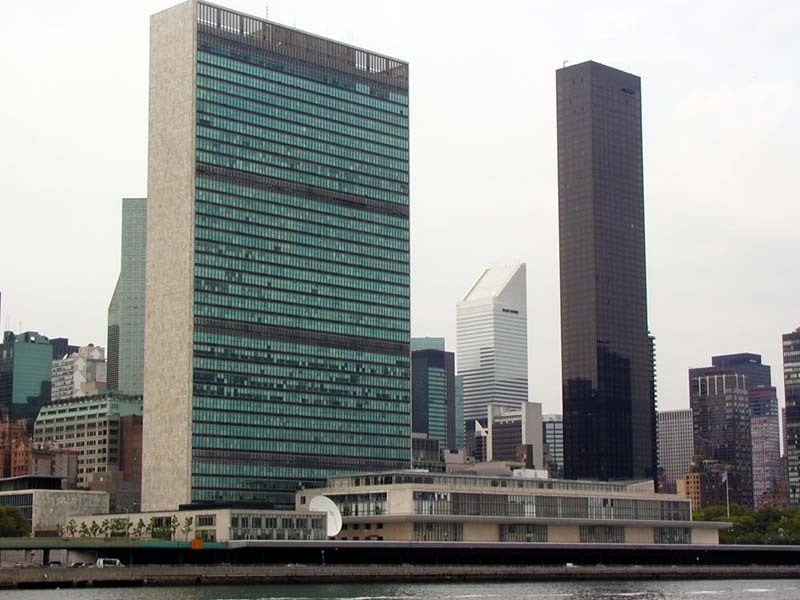 The view on the United Nations Secretariat Building from Queens West. On the left is the Chrysler Building. 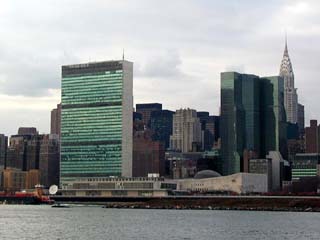 The view on the United Nations Secretariat Building from Queens across the East River.